The Samputensili G 450 gear generating grinding machine is an innovative, compact and extremely flexible gear grinding machine. 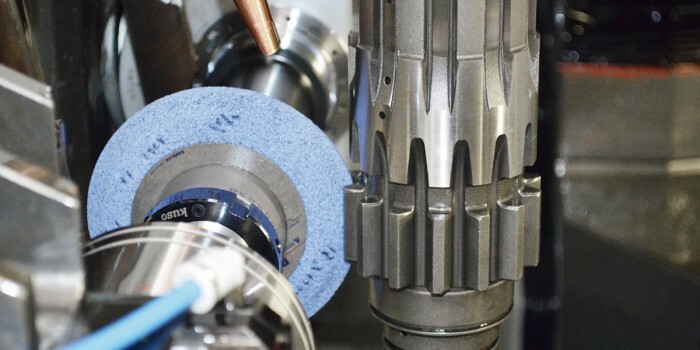 The Samputensili G 450 has been especially developed for very low cycle times and for top-quality and efficient mass production of gears with outside diameters up to 450 mm and shafts with lengths up to 550 mm. This gear generating grinding machine can equally use profile and worm grinding wheels, both in ceramic and in electroplated CBN. 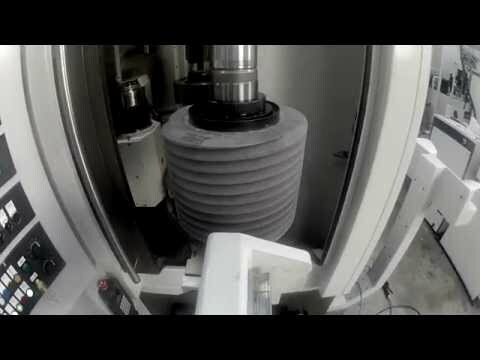 Simple design concepts in terms of tooling and dressing technology, fast automation and amazing user-friendliness are the strengths behind this unique machine. The work spindle mounted on a rotating table simplifies the loading/unloading operation as well as the tooling operations. The dressing spindle is mounted on the rotating table as well, but diametrically opposite to the work spindle.